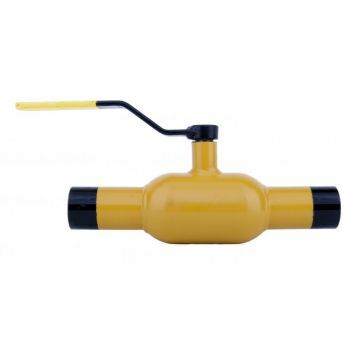 Our fully welded natural gas ball valves (color yellow) are designed for clean gaseous mediums and to be used in natural gas systems. The gas ball valve can also be used in compressed air applications and in many other systems where gaseous medium is used – check the compatibility of the valve and medium before using. 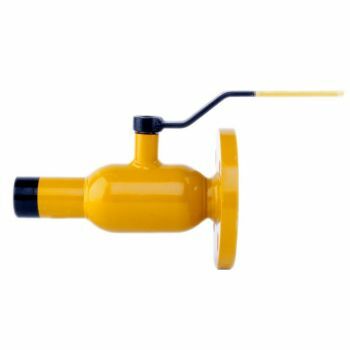 This type of natural gas fully welded ball valve construction is light weight and easy to insulate. 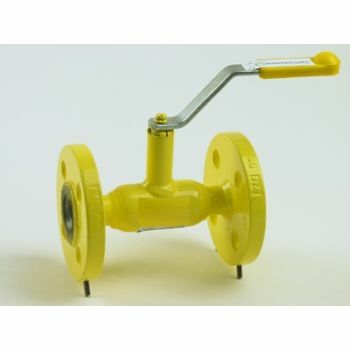 The ball valve specially designed for natural gas have space saving design and are easy to install. This type of ball valves for natural gas is easy to operate and maintenance-free. It has long service life and total bi-directional tightness - EN 12266-1 rate A in both directions. The ball valve for natural gas is fabricated from high-strength materials as it includes stainless steel or stainless steel plated ball, spring loaded PTFE ball seals and blow-out safe stem construction with stem sealing with double o-rings. Gas ball valves with flanged and welding ends are steel stop valves intended to be used to fully close or fully open the flow of the medium conveyed. The gas ball valves can not be used for flow throttle or flow control purposes. Special types of these gas ball valves have been developed for flow control purposes. Owing to their.. Application:The flanged gas ball valves are steel stop valves intended to be used to fully close or fully open the flow of the medium conveyed. The gas ball valves can not be used for flow throttle or flow control purposes. Special types of these gas ball valves have been developed for flow control purposes. Owing to their featu.. APPLICATION Gas systems (media of group 1 according to the Directive 97/23 EC - category GDII), natural gas, petrochemical products and oil derivates. For the version WKP 2cPB: propane, calor gas and propane-butane. TEMPERATURE RANGE -30°C to +60°C for explosive fluids (natural gas, propane, calor gas, propane-butane, acetylene etc.) -30°C..